National Conference senior leader, Dr. Sheikh Mustafa Kamaal Thursday expressed his dismay at the steep increase in domestic LPG price making it more than double almost overnight while as BPL category is getting it at a much lower rate. This wide gap between the two is unjustified. Also HP brand LPG does not blacken utensils and has a mild odour in comparison to Indian oil and Bharat Petroleum LPG brands which have higher odour and blacken utensils. 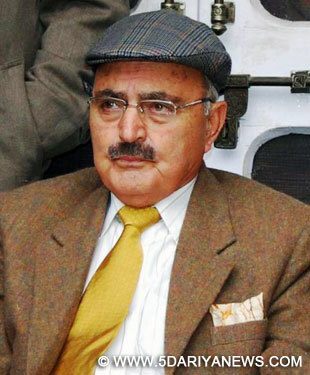 He said this needs to be examined by the authorities as demanded by people to allay suspicion that sub –standard LPG is provided to J&K deliberately with the dual purpose of tormenting them and making a fast buck. “The delegations that met me demanded that higher cost incurred in providing LPG at nearly a thousand Rupees per cylinder should partly be borne by the government as this policy tent amounts to “ robbing peter to pay Paul”.The delegation also castigated the government for increasing the price of rice from ration shops by 50% from rupees 10% per kg to Rs 15 per kg fee be Rs 500/- per quintal against Rs 1000/ per quintal earlier.